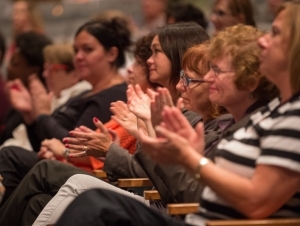 A recognition ceremony to honor faculty and staff accomplishments will be held on Thursday, October 6, at 12:15 p.m. in the Performing Arts Center at Rockwell Hall. The event will recognize Buffalo State recipients of Chancellor’s and President’s awards. In addition, all new faculty and staff members will be welcomed to campus. The entire campus community is invited to participate in this fifth annual event. A reception will follow in the auditorium lobby of Rockwell Hall. Laura Rao, coordinator of the Volunteer and Service-Learning Center (VSLC) in the Career Development Center, is held in the highest regard by faculty, staff, students, and community partners for her selfless contributions to the community. She is a passionate and committed professional who leads the VSLC by example. The growth and reputation of the service-learning program at Buffalo State speaks volumes about her performance. She has managed the dramatic growth of the college’s community-based academic service-learning program from its start-up in 2003 to its current level involving about 80 faculty members and 1,800 students each academic year. She has also established countless community partnerships that have engaged more than 28,000 student volunteers in projects that address identified community needs. Because of her diligent efforts, nearly one in four Buffalo State students now participates in volunteer activities. 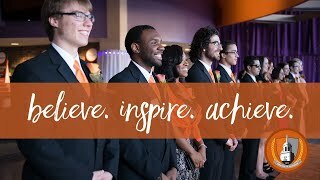 Rao’s commitment to excellence is evidenced by Buffalo State’s high rating in service learning in the National Survey of Student Engagement; being named the SUNY Outstanding Student Affairs Program in 2006 and 2011; earning the prestigious Carnegie Classification for Community Engagement; and being named to the President’s Higher Education Community Service Honor Roll for eight of the past nine years. In addition, she has coordinated Buffalo State’s annual community service day since 2006, now called Bengals Dare to Care Day, which results in more than 550 students, faculty, and staff volunteering across Buffalo on a given day. She is well prepared to adjust to changing institutional needs and has responded promptly and creatively to the college’s renewed focus on civic engagement. The dramatic increase in participation during her tenure demonstrates the impact she has had on the campus community, providing thousands of students with powerful, life-changing exposure to the real world and helping faculty transform their curricula to give students multiple opportunities for applied learning experiences. Paula Mis, assistant to the director of accounts payable and travel services, began her career at Buffalo State in 1981 as a stenographer and has earned numerous promotions, adding more duties and responsibility with each advancement. She is a highly respected and valued member of the campus community. 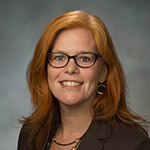 She oversees the daily accounts payable functions of the Accounts Payable and Travel Services Office in accordance with the rules and regulations of the State University of New York (SUNY) and Office of the State Comptroller (OSC), assisting the director in developing and implementing college accounting policies. She also serves as the campus liaison between Buffalo State, SUNY, and OSC in addressing various systemwide issues. She has an enormous wealth of knowledge about not only her own duties and responsibilities but also the other functions of the office. When Buffalo State transitioned to the new State Financial System (SFS), Mis’s due diligence kept the office workflow moving while she assisted staff with complex new technical rules, regulations, and processing changes. Throughout her career, she has helped institute many methods to improve payment processes, finding solutions to challenges that no one else could resolve. Her demeanor is calm, positive, and good-natured, and she deals with emergencies in a rational manner. Instead of focusing blame, she identifies corrective measures that can aid future operations. Her patience, optimism, enthusiasm, friendly attitude, and sense of humor are constantly on display and always apparent in her interactions with others. She meets work challenges head-on with an exceptional attention to detail and accuracy. Outside of the office, she has been a longtime volunteer both on campus and in the community, volunteering at the annual undergraduate and graduate Commencement ceremonies and at such fundraising events as the Komen Race for the Cure and Making Strides Against Breast Cancer. William Ortega, senior academic adviser in the Educational Opportunity Program (EOP), is steadfast in his dedication to students and the mission of the college. He provides comprehensive academic, career, financial aid, and personal advisement to students considered to be “at risk” and in need of more specialized guidance than the average college student. He understands students’ needs and works diligently to assist and empower them to navigate college life. His direct approach is fueled by a strong desire to see students succeed, and in turn, students trust his ability to advise and guide them. A compassionate, creative, and ethical counselor, he is well versed in college policies and resources for academic advisement. He is often the first person other advisers seek out for advice, especially when dealing with the most challenging situations. Likewise, he does not hesitate to seek advice from other colleagues in a collaborative way to help solve issues. At training meetings, he often provides words of wisdom and encouragement for colleagues from other campuses or regional academic advisement centers. He is always available to his students, skipping lunches, working weekends, and staying late when necessary. He is thorough with his follow-ups, regularly checking in with students to ensure that they are attending tutoring sessions, managing financial concerns, and taking care of their health. In situations where students are struggling with personal issues, he physically walks them to the appropriate office on campus to make sure they get the help they need immediately. He is vigilant about tracking students’ progress toward graduation and their personal goals and development. As the person in charge of readmission into EOP, Ortega exercises crucial judgment in providing second-chances to students who withdrew from college but have decided to return to their academic work. He works closely with the Admissions Office on readmissions and in helping prospective students and their families through the process of application and acceptance to EOP. He often uses his cultural and language skills in both English and Spanish to better assist first-generation college students. Stephani Foraker, associate professor of psychology, has distinguished herself as an outstanding mentor, scholar, and educator since arriving at Buffalo State in 2008. She views mentorship as critical to the success of students, and she is committed to the highest quality guidance. In her relatively brief time on campus, she has mentored 10 independent studies, two honors theses, one McNair scholar, and three undergraduate summer research fellowships, as well as roughly 40 students in her ongoing volunteer laboratory group. She also serves as a mentor for Psychology Club research projects and Psi Chi, the International Honor Society in Psychology. She is an excellent scholar, having published numerous articles in well-respected journals, and her own vibrant scholarly life informs and inspires student scholarship. She has developed a three-step model that guides student development in research. Students move from being volunteer assistants on a research team to completing independent studies to completing more-involved projects such as honors theses or undergraduate summer research fellowships. Students learn from Foraker as well as from more advanced students, creating a culture of research with long-term relationships. She does not provide generic career and research guidance but tailors her mentoring to each student’s needs. She meets students where they are and encourages them to grow and develop to the best of their abilities. If they continue to pursue research as a career, she imparts skills that prepare them for graduate studies. If they choose another career path, the background in research prepares them to be critical of scientific literature, so that whatever work they do will be grounded in evidence-based practice. Foraker teaches students presentation skills and encourages them to share their work with the broader scientific community. Of note, her students have presented eight posters or talks at regional conferences, three posters or talks at national conferences, three posters or talks at international conferences, and 18 research projects at Buffalo State’s Student Research and Creativity Celebration. 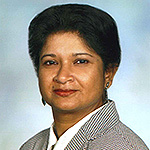 Sarbani Banerjee, professor of computer information systems, has a great passion for research and fosters a similar joy and interest in research among undergraduate students at Buffalo State. Her outreach to and inclusion of women and minorities in a field historically populated by men is heartfelt and extraordinary. She has long been a supporter of undergraduate research and has successfully applied for funding through the college’s Undergraduate Research Office to encourage students to tackle more involved and challenging research projects. She has also received grants to revise existing courses or develop new courses that include a substantial research experience for students. She has been especially supportive of course-based research, and in the last 10 years, more than 50 of her students have presented their course-based research projects at the annual Student Research and Creativity Celebration. She does a consistently excellent job mentoring and preparing students for their presentations on topics that are wide-ranging, relevant, and interesting. Banerjee is a role model who inspires students and leads her colleagues in collaborative grant and research efforts. 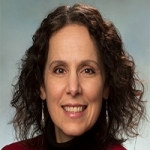 She is the principal investigator for the Computer Science for High Schools (CS4HS) Google grant that provides $10,000 annually to fund high school teacher training in computer science using the National Science Foundation’s “Exploring Computer Science” curriculum. As part of that program, she enlists her student mentees to help deliver content and provide assistance at the weeklong workshops. She implements programs where she sees needs and opportunities and is always willing to promote Buffalo State and computer science professions. Active in the local chapter of the Computer Science Teachers Association, she has taken a special interest in encouraging women and minorities to consider coursework and careers in all STEM fields. She won a statewide SUNY grant in 2012 to establish an academic course and speaker series focused on promoting women and minorities in computer science and engineering. Lynn Boorady, chair and associate professor of fashion and textile technology, is a consummate professional. Under her leadership, the department has become widely recognized for such accomplishments as the annual Runway fashion shows, the official Buffalo State tartan plaid, multiple student recipients of the prestigious YMA Fashion Scholarship Fund award, grants from Cotton Inc. and Target, and the ambitious CONNECT Project, in which she worked and traveled with faculty and students at institutions in the UK, Australia, and China. Her enthusiasm and professionalism with respect to teaching, scholarship, and service are well regarded among her peers, and she is an inspiration to her students. She has taught a wide variety of core and elective courses in her department, and a summary of her teaching evaluations—an overall average greater than 90 percent—provides evidence from students of her outstanding teaching capabilities. She has implemented service-learning projects in her classes, providing apparel for patients at Women’s and Children’s Hospital and creating garments based on cultural preference. She also partners with local companies and professionals to speak to her students about current issues in the industry and professional networking. Boorady actively serves her profession at local, state, national, and international levels. A prolific scholar, she has given 16 presentations at international conferences based on her teaching methods and two regional presentations at the Genesee Community College Creativity Conference about how to encourage creative thinking in students and how to bring creativity into the classroom. She shares this scholarship with students outside the classroom by guiding independent studies, advising students and student clubs, leading international travel, and supervising undergraduate research grants awardees. She has supported the Student Research and Creativity Celebration since 2011, mentoring 36 student research projects in that time. She has supervised eight Undergraduate Research Office grants and one Cotton Inc. student grant between 2012 and 2015. Since coming to Buffalo State, she has procured more than $120,000 in funding from Cotton Inc. to develop classes and seminars on the use of cotton fabric. Eric Dolph, assistant professor of interior design, has effectively transformed his career from professional architect to full-time college faculty member. With extensive knowledge of computer-aided design, he teaches a variety of courses and manages the department’s computer lab. Even as a new faculty member, he commendably modified his courses to reflect departmental revisions and industry standards for software, digital tools, and social media. Bringing external resources to his students, he incorporates the diverse array of Buffalo architecture styles into class assignments and develops projects in collaboration with professional members of the International Interior Design Association as well as local architectural and design firms. He frequently invites guest lecturers to bring real-world perspectives and case studies into the classroom. He links research directly to teaching, pursuing scholarship that centers on the use of digital tools in professional design and in design education. He has presented twice at regional conferences on the topic of collecting and analyzing data on the use of digital design software. He is one of five lead investigators on a grant submitted to the National Endowment for the Arts to fund the study of university-level design curricula. His influence on student growth and success is evident through the projects created in his courses, including a recent Albright-Knox Art Gallery redesign project that inspired two students to earn undergraduate summer research fellowships. Dolph works with students beyond the classroom, organizing networking events between students and professionals. Two of his courses received service-learning designations to benefit community partners. He works with students to provide feedback on portfolio content and layout, suggests internships, and offers advice on interviews and professional concerns. The quality of his teaching accomplishments and evaluations predict continuing growth in a long career of service to students. Michael Fox, lecturer of creative studies, is an engaging and charismatic teacher who is known as the department’s storyteller. He is generous with his time and has often taken on a mentoring role with his students. His teaching evaluations are superior, and students hold him in the highest regard. He establishes strong connections with students, and his mentorship often extends beyond graduation. He has changed many lives in a positive way, often helping students with critical decisions about graduate school and career plans. His open-door policy builds creative confidence in students who seek his advice. In addition, he represents what it means to be a scholar in the classroom. Unsatisfied with the quality of literature for the introductory-level courses in creativity, he set out to write a book that filled this gap. Three editions later, his book Exploring the Nature of Creativity is still being used to support creativity courses at Buffalo State and at universities across the country. He donates the royalties from the book, which have exceeded several thousand dollars to date, to the Creative Studies Department. Fox’s teaching extends beyond the classroom into the community. He has facilitated many organizations through creative problem solving sessions and presented to diverse groups in the education, business, and not-for-profit sectors, strengthening Buffalo State’s reputation as a leader in creative studies. Jean Salisbury, secretary II in University College, has consistently displayed superb performance in her assigned duties. Her dedication, professionalism, and passion epitomize the essence of University College (UC) as a home for first-year and undeclared students. Her job requires balancing competing interests and interacting with different offices across campus, and she juggles multiple roles with ease and efficiency. Salisbury is a backbone of UC, embodying a “buck stops here” approach to her work. Each day, she handles changes related to personnel matters, contracts, and the Intellectual Foundations program. She also coordinates the Critique and Evaluation Period each semester, handling block exams and scheduling conflicts, and even proctoring exams herself when needed. For more than two decades, she has contributed significantly to the success of Commencement, presidential inaugurations, First-Year Convocations, and the SEFA-United Way drive. She is collaborative and unbiased when dealing with distressed parents, faculty, and staff members, responding in extraordinary ways to daily challenges. She participates in all University College meetings, even when not required to do so. Professional excellence is her norm. Although event planning is not in her job description, she coordinates scheduling, venues, entertainment, and RSVPs for all University College events. She even submitted a proposal for the organization and layout of the front office and a “rotational plan” that resulted in an improved work process among UC secretaries during particularly busy periods. Her tremendous efforts and innovative approaches to working with the campus community greatly aid in the warm welcome that students receive, the care with which temporary service employees are treated, and the satisfaction that UC staff, faculty, students, and parents experience. Behind the scenes and on the front lines, Salisbury helps in every area of UC by ensuring that advisement, academic support, and student-learning opportunities are afforded to Buffalo State students. 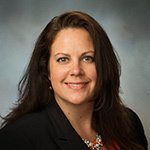 Heather Maldonado, assistant dean and director of academic standards in University College, performs her assigned duties superbly and makes enormous efforts in service beyond those responsibilities. She demonstrates flexibility and a willingness to adjust to institutional needs, is creative in addressing work tasks, has remarkable problem-solving and decision-making skills, and is an innovative leader on campus within the State University of New York (SUNY) system. Her responsibilities include reviewing petitions from students seeking exemptions from campus academic requirements. She effectively balances the need to assist students with extenuating circumstances with the need to protect the integrity of institutional policies. She has carefully assessed some of the reasons for petitions and used that information to inform changes in policy and practice. She also chairs the Academic Appeals Committee, which functions efficiently in processing numerous and complicated matters. The number of students on academic probation has decreased during her tenure, while the number of students on academic probation returning to good standing has increased. Maldonado has created innovative new services at University College. Her careful management of the master schedule has helped reduce the number of sections with low enrollment. She also designs, implements, coordinates, and evaluates University College participation in collegewide recruitment and transition programs including open house, registration, orientation, and homecoming. She oversees First-Year Convocation, one of the largest campus events of the academic year and an important Buffalo State tradition. She is a visionary—a proactive and intelligent leader with an admirable collaborative style. A member of numerous committees, she makes a tremendous difference in the lives of students, faculty, and staff. She understands the nature of undergraduate students and the college climate and stays on top of theory, literature, and trends in order to carry out her best work. She fosters a healthful and effective work environment and has improved the learning and campus experiences of many students at Buffalo State. 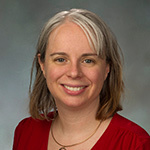 Bridget Chesterton, associate professor of history and social studies education, is a prolific scholar known internationally for the quality and cutting-edge nature of her work. She has produced a monograph (The Grandchildren of Solano López, University of New Mexico Press, 2013), two edited volumes, more than a dozen journal articles and book chapters, eight book reviews, and various other publications. She has also presented her work at major conferences across the western hemisphere. She has proved to be a successful grant writer in support of both her research agenda and campus initiatives. Most recently, she was awarded a prestigious Fulbright Institute of International Education research grant to return to Paraguay in 2016. 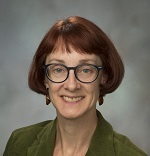 Over the years, she has successfully applied for research funding from the SUNY Research Foundation, the Consortium for Latin American Studies, and the Provost’s Incentive Grant and Individual Development Award funds. She is demanding, passionate, and relentlessly dedicated to her students and their scholarly success. She is a talented writer, a respected researcher, an insightful editor, and a fierce intellect. As a mentor, she combines the ability to convey total support for her students with an uncompromising demand that they do their best work and present it to the broader academic community. Chesterton generously gives of her time. She has devoted countless hours to mentoring students. It is a rare day when she is not in her office speaking with students about their classes, research, and plans. She co-presents at the department’s annual workshop on applying to graduate programs in history and was the driving force behind establishing the Exposition, the department’s annual online history journal, which provides students with a venue to publish their original research. Ilya Grinberg, professor of engineering technology, has worked methodically during his career at Buffalo State to build up the electrical engineering technology program’s curriculum and laboratory through focused research and collaboration. He has achieved significant goals with a unique combination of creativity, energy, and patience. As head of the smart grid concentration within the electrical engineering technology program, Grinberg has used applied research to address a critical need: the modernization of the power system. This initiative is considered key to the economic development of the region and is an example of innovative thinking that transcends traditional institutional boundaries. 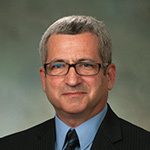 Using funding from the U.S. Department of Energy, the Research Foundation for the State University of New York, and other sources, Grinberg built a state-of-the-art lab that enables him to simulate power generation, control, distribution, and consumption as a fully integrated smart grid model. The result is a one-of-a-kind facility that is now being enhanced through collaboration between five educational institutions. Using this lab, he and his colleagues are developing a curriculum that will support education and training of the new smart grid workforce. Grinberg’s work in this area has drawn attention to Buffalo State from utility companies, researchers, and developers from academia and the private sector. Grinberg is an excellent researcher and collaborator, with 43 papers published in national and international journals and proceedings. An authority on the lend-lease activities between the United States and the Soviet Union during World War II, he coauthored the book Red Phoenix Rising: The Soviet Air Force in World War II (University Press of Kansas, 2012). Grinberg successfully balances his teaching responsibilities and mentorship of undergraduate and graduate students with his own wide-ranging scholarship. Justin Donhauser, lecturer in philosophy and humanities, shows an impressive ability to encourage and direct the innate talent, intellect, and compassion of his students through his teaching. He has been a major contributor to the expansion and revision of the curriculum in his department, developing and teaching eight courses over the past four years, including a traditional introduction to philosophy course, a new online course in logic, and the only service-learning course offered by the department. His excellence in teaching is exhibited in many ways. One of the most concrete measurements is his consistently high ratings on teacher evaluations, which rank him in the top 5 percent of his department. His leadership and service as the faculty supervisor for the Students for Sustainability (S4S) service-learning course combines two of Buffalo State’s core values— dedication to student success and commitment to serving the community—in a unique and effective manner. His efforts have helped keep the philosophy and humanities area relevant for today’s students, allowing them to apply their learning in important ways. His impressive research agenda serves to further enhance his teaching and service. Even though he is one of the junior members of the department, he has already amassed a respectable publication, presentation, and grant award record, including five articles in refereed journals and book chapters, more than 20 professional presentations, and fellowships and grants from local and national campus- and community-based organizations. Laurence Shine, lecturer in English, is a transformative teacher who leads his students to a deeper understanding of English, Irish, classical, and world literature. His contributions to Buffalo State and the larger Buffalo community represent a prolific commitment to liberal arts values. Shine creates a classroom atmosphere that not only is comfortable and conducive to rigorous and purposeful learning but also models sound teaching techniques for his students, many of whom are future teachers. The breadth of his pedagogical expertise can be validated by the many venues in which he teaches. Not a traditional classroom lecturer, he engages students and colleagues in learning communities, study tours, reading circles, museums, theaters, coffee shops, and other public spaces in and around Buffalo. His commitment to teaching has been recognized by former students who established the Shine Fellowship in 2015. This honor, saluting Shine’s contributions to furthering the appreciation of Irish intellectual and cultural heritage in Western New York, annually provides a Buffalo State student with financial support to conduct a yearlong research project under Shine’s mentorship. His colleagues appreciate his collegial and collaborative nature and willingness to share his time and talent. He is viewed as a valued and essential member of the English Department, co-teaching classes, lecturing for colleague’s classes, and sharing techniques in an array of courses covering a variety of subjects and crossing all levels of students. John Cabra, associate professor of creative studies, is a standout teacher who is committed to student learning and achievement in and out of the classroom. He has a strong record of teaching excellence and positive impact on student growth and performance through his course offerings. In addition, he has developed an international reputation as an expert in the field of creativity. In evaluating Cabra’s courses, students often note the breadth of knowledge that he brings to the classroom. His extensive research in the field of creativity allows him to answer students’ questions with precision, foster deeper and more critical thinking about the material, and connect threads of research that students find interesting and useful. Students also appreciate Cabra’s personal experience working for Fortune 500 companies, which he draws on to connect real-world situations to the theoretical topics covered in his courses. He demonstrates his commitment to student learning in many ways, from continually refining his lessons to developing new instructional methods. He frequently stays beyond class hours to continue discussions with students and encourages them to apply their knowledge outside the classroom through service-learning activities. He is a strong advocate of using creativity to bring positive change to communities. An international scholar, Cabra has authored or coauthored eight peer-reviewed articles, five book chapters, and three conference papers. Several of his works have been published in both English and Spanish. An in-demand speaker, he has presented talks on creativity in the Netherlands, Colombia, Mexico, El Salvador, Canada, Taiwan, South Korea, and Italy. His enthusiasm for teaching creativity—and the science behind it—has inspired many students to achieve professional success.